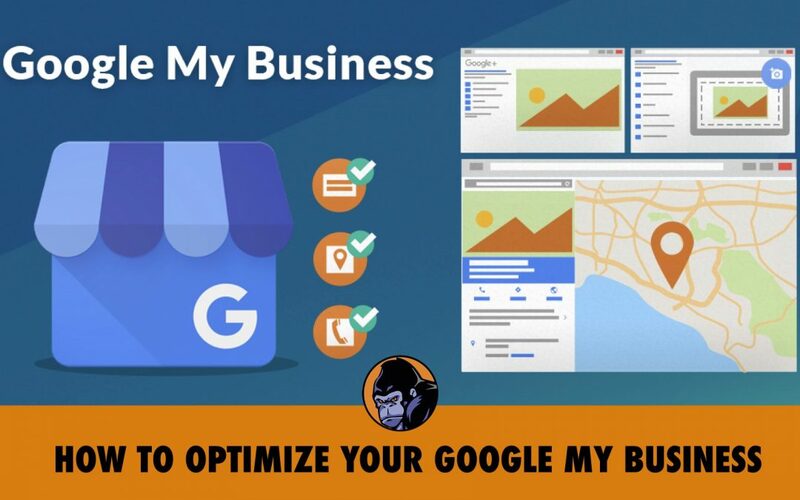 HOW TO OPTIMIZE YOUR GOOGLE MY BUSINESS LISTING. Once your GMB listing is verified go ahead and take some time to optimize it so your new customers can find you. Here is a list of 7 ways to optimize your google my business listing. I should first warn you that when you make these optimizations and changes you will have to allow a few hours to pass before you actually see the changes being made to your listing. That literally drove me insane the first time I started making changes. 1- Complete all the Information. Google asks all the relevant information need to display on the knowledge panel and on google maps. Be sure to completely answer every question, including, business hours, category, description etc… If you do not fill this information out completely 2 things could happen. 1. Your business will not show up because the relevant information is not present. 2. Google will invite other people to fill the information out for you. Folks may click on the “suggest an edit” button and make suggested changes to your details. Filling everything out completely decreases the need for strangers to do it for you. Add a dozen or more photos. Add photos of your business logo, the exterior, interior, your team or staff, and anything that will make your business appealing and easy to interact with. Personally, I love interacting with these photos. When I’m looking for a restaurant or place to shop, I check out these photos to determine whether or not the place is good and worth my time. Select the right category of your business. Don’t just choose “local business” as your category. Being more specific will obviously help searchers find you. Google’s category list is a bit limited but here is an easy to see a snapshot of all GMB categories. Take some time and choose the best category that you think people will search for when they are looking for services you offer. If your business delivers goods or services in a service area, you may set up specific service descriptions on your GMB listing. It seems like a no-brainer to take advantage of this new feature. Simply follow these instructions to begin adding services to your GMB listing. Do not forget to add a strong description in the Be sure to include important keywords and phrases to your business description. This will help Google know more about your business and show it to relevant searches. Be sure to take advantage of Google posts. Posts are like many advertisements or blog posts including directly on your GMB listing. If you’re a business that offers services like a contractor I would suggest creating a few posts explaining the details of those services and why you’re the best in the area and promotions or coupons you offer. If your business uses a booking app be sure to use the new booking button that Google will include directly on your Google My Business listing. The button will sync with your booking app and gives your customers an easy way to book right from their phone if they find your business on Google maps.